Judith Ajani is an economist based at the ANU’s Fenner School of Environment and Society. She has nearly 30 years of forestry industry research and policy experience in both government and academia. 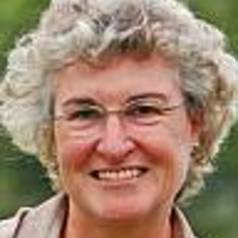 Judith contributed to the successful forest policy outcomes in Queensland, Western Australia and the Otways in Victoria and maintains an active engagement in the ongoing native forest and plantation forestry public policy debates. This engagement provided critical resource material for her book – The Forest Wars, published by Melbourne University Press in 2007. Judith’s contribution to the forest debate has been to bring the silenced plantation processing industry to our attention so we are able to make informed choices about the future for native forests. Judith is currently working with colleagues on how native forests and plantations should be incorporated in climate change policy.